Tiger Woods has been doing it since he was a kid, Jack Nicklaus swore by it, Muhammad Ali used it, and Michael Phelps is renown for doing it in training as well as competition. 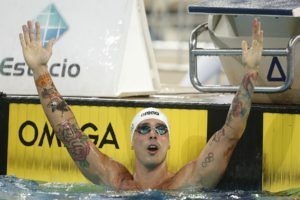 It’s a mental training technique called visualization, and it is one of the most powerful tools that a swimmer can put in their arsenal. The process of visualization – or mental imagery — is fairly simple. You sit down, close your eyes, and essentially daydream yourself achieving your goal. 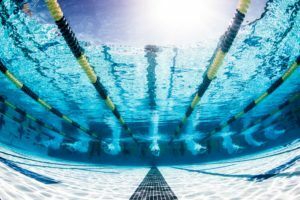 Done consistently it helps you “hard-wire” a good performance in your brain, so that when it comes down to race-time you fall back on autopilot, having already swam the race a hundred times in your mind. It is also a fantastic motivational tool; using it consistently helps keep you dialed in on their desired result. The brain cannot tell the difference between imagined or real experiences. Research done on weight lifters showed that brain patterns activated during lifting were similarly activated when they visualized themselves lifting the weights, with the mental rehearsal being nearly as effective as physical practice. More importantly, it was shown that doing both was more effective than performing either solo. 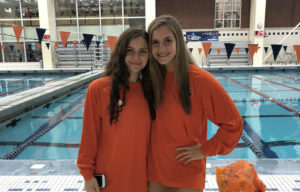 Of course, sitting around visualizing the perfect performance doesn’t replace the necessity of hard work in the pool, but rather, when done in tandem with consistent, intelligent effort in practice you maximize the chance of swimming out of your mind come meet time. Like anything else, using mental imagery is a skill. It’s something best done consistently and habitually. It’s something you use months in advance of the big race, a skill you hone and will eventually master. Have a specific outcome. For swimmers this is easy. We deal in tenths and hundredths of a second. 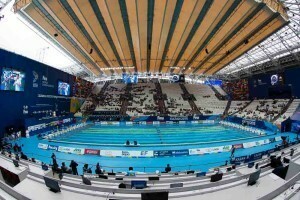 A time you want to swim. Winning. Whatever the goal, make sure that it is clear as day. Make the outcome positive. Seems obvious, right? But your brain will wander towards the W.P.O.’s (worst possible outcomes) often at first. Each time this happens, simply take a breath, acknowledge that you let the imagery get away from you, and reset. Imagine yourself calmly dealing with setbacks. Things shouldn’t go perfectly every time you run through race day. There are a variety of things that could (and should) go wrong within your mental imagery. The car breaks down on the way to the meet. You only get a shortened warm up. The swimmer beside you bolts out to an early lead. 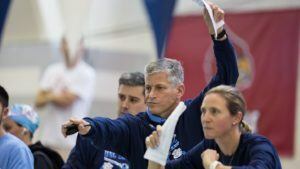 These are all things that you should incorporate to your frequent visualization sessions, so that when something does go awry at the meet (and something invariably does!) you will be cool as a cucumber. When you notice yourself wandering, stop, reset and start again. Especially as you first start out trying visualization you’ll find that your brain will want to play hooky and think about other stuff. Did so-and-so like my status yet? I wonder if the game is on yet? When your thoughts wonder, catch yourself, reset, and start over. The more details the better. The more real the mental image, the more convinced your brain will be that this is real life. Imagine the texture of the block under your feet. The deep breaths through your nose as you await the starters gun. The background noise of the crowd. The way your hand slices through the water. From there move to the sensations and feelings you experience over the course of the day. How loose your muscles feel as you warm up. The adrenaline coursing through your blood and butterflies in your tummy in the moments before the race. The elation that washes over you as you touch the wall and look up at the scoreboard. The more you do it, the better you will get at it! Mental imagery is a tool, not a last minute patch for insufficient preparation or training. Incorporate it into your daily training, and you’ll find that the visualizations get richer in detail and truer to life. 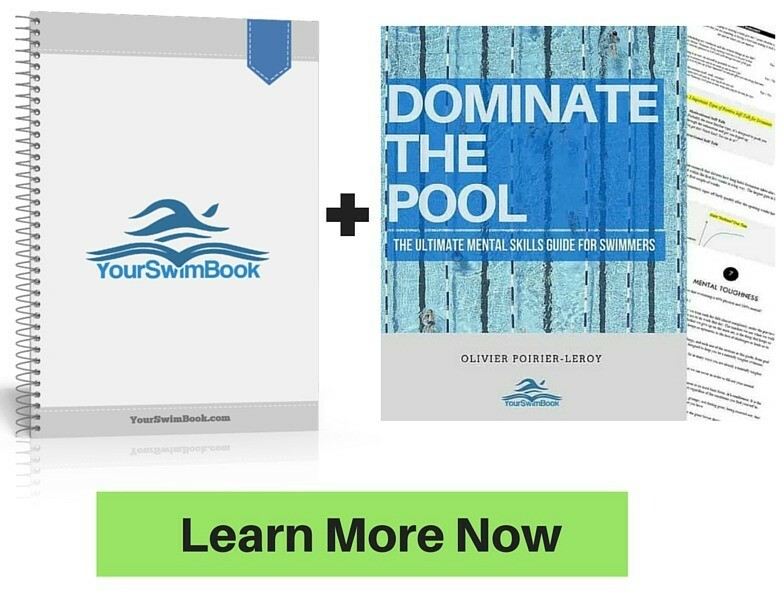 NEW: It now also comes with a 76-page mental training skills eBook called “Dominate the Pool.” It is free with your purchase of YourSwimBook and is emailed to you within 24 hours of your order. Click here to learn more about YourSwimBook and get your mental training on track! I have a question. I’ve been swimming since I was like three years old and I’m headed into NCAA swimming this fall. In the past year or two, I’ve started running into a problem. I don’t get nervous before I swim anymore. At first it was just normal meets, but now I get behind the blocks for Juniors Nationals or finals at State Championships without any nerves. I feel like because of this, I’m not getting an adrenaline rush. So I was wondering if anyone else has this problem or has a solution. I noticed in the article it mentions thinking about the butterflies in your stomach when you visualize. Would that fix the problem? Set higher goals to challenge your nerves – A PB, maybe. Make the goals personal. Then focus on training to achieve this/these goal/s. That will make you nervous.